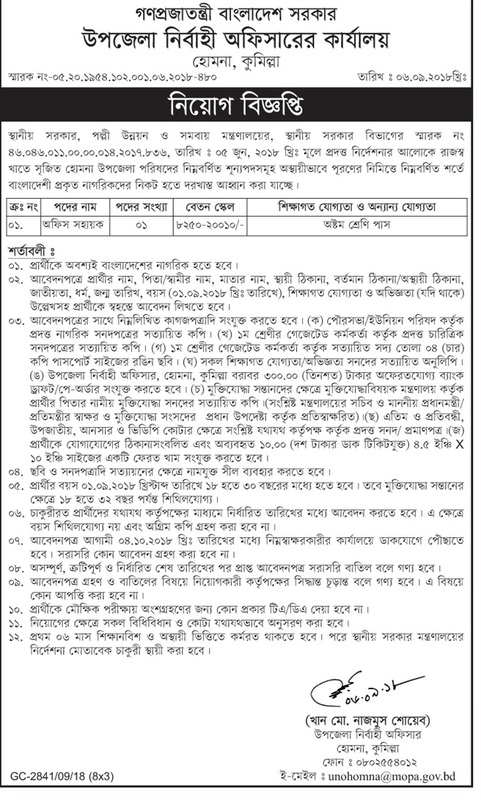 Upazila Parishad jobs noticed new job circular at www.mymensingh.gov.bd .Upazila Parishad Job circular Offer Vacancy in Bangladesh. 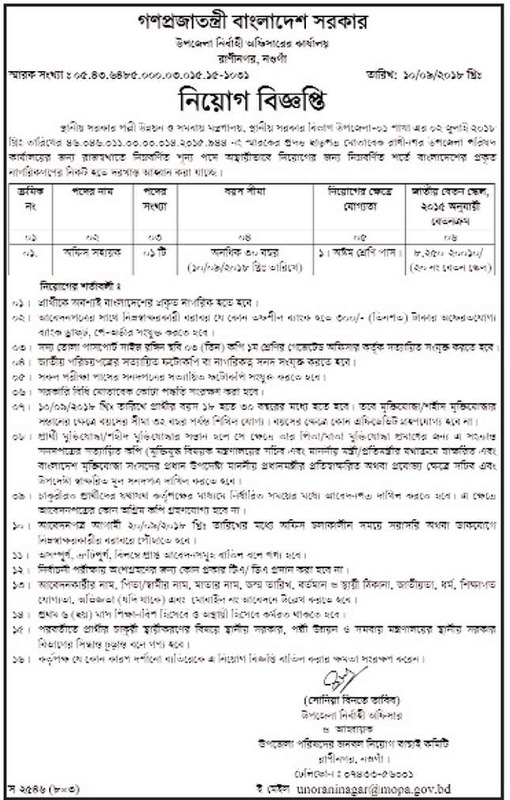 Upazila Parishad Career updates like Educational Qualification,Job Experience, Age Limit update by Ejobscircular.com .Read below this short Information about Upazila Parishad jobs and then Apply if you are Qualified. You must have to apply before 20 September 2018. This entry was posted in Govt Jobs 2019, JSC Pass Jobs and tagged Govt. jobs by Raju Ahmed. Bookmark the permalink.